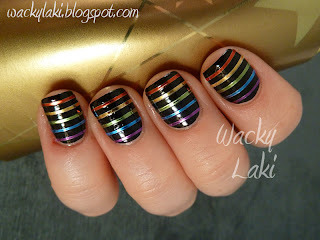 Ever since discovering nail tape I am obsessed! Probably because I cannot draw a straight line with a pencil to save my life, let alone any form of nail polish application. It comes in several colors and it is super cheap. 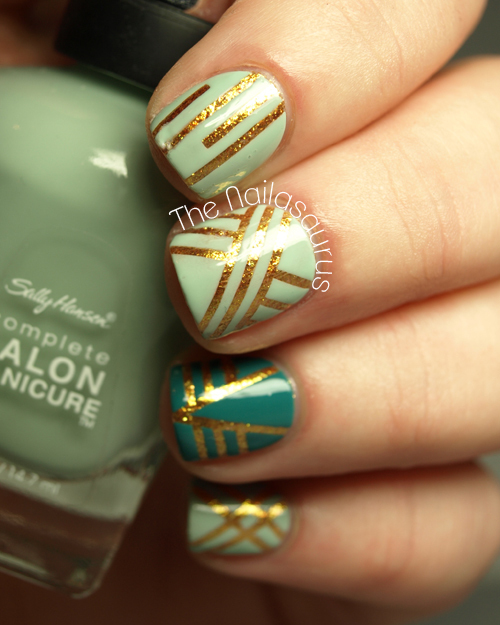 Whether you leave it on with a clear coat on top or are just using it to make perfect lined designs, nail tape is sort of becoming an essential in my book! You can buy it here for super cheap. 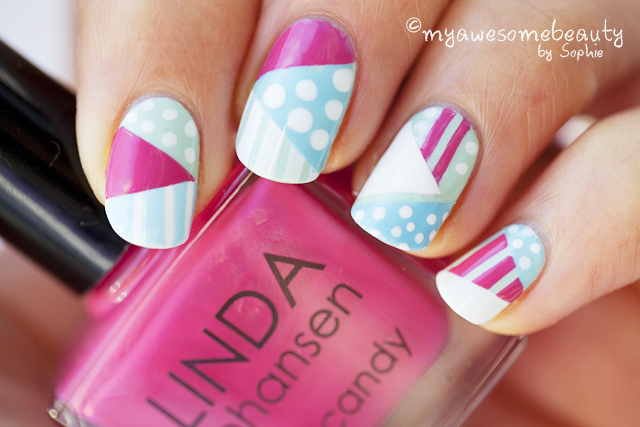 This entry was posted in Beauty, Nail Art on February 11, 2013 by Heather. Nice collection of ideas :). Manicure #10, Blue Nails with Silver Tape, is originally from pshiiit.com. Hi there I’m having the same problem if u have any tricks to make it stay better I’d love to hear it. 8.17.13- I have lots of trouble with the manicure tape. I can’t get it to stay adhered, even for 4 hours and even with 2 or 3 top coats. Has anyone found the solution??? I had the same problem with the nail tape peeling off. 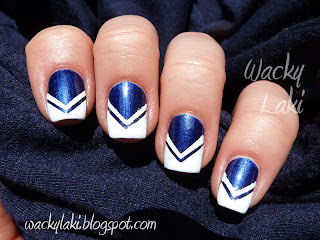 Eventually I discovered gelous nail gel, I think it is meant as a base coat but I use it as a base coat and then do a layer over the top of the tape as well. 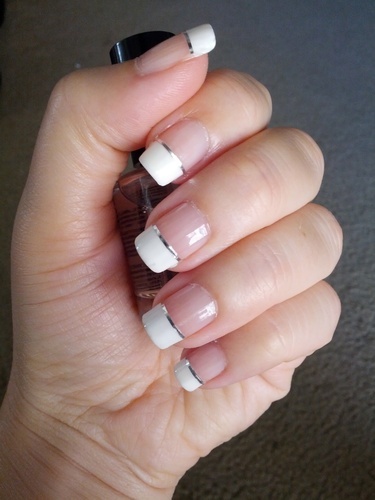 (It takes a little while to dry so I also like adding a quick dry top coat). As long as there are no loose ends on the tape I have had it last well over a week. I use a lot of top coat and dry it with a blow dryer..Your ends should be short ..Not long on the ends where it catches on things or starts to peel off..hope this helps..